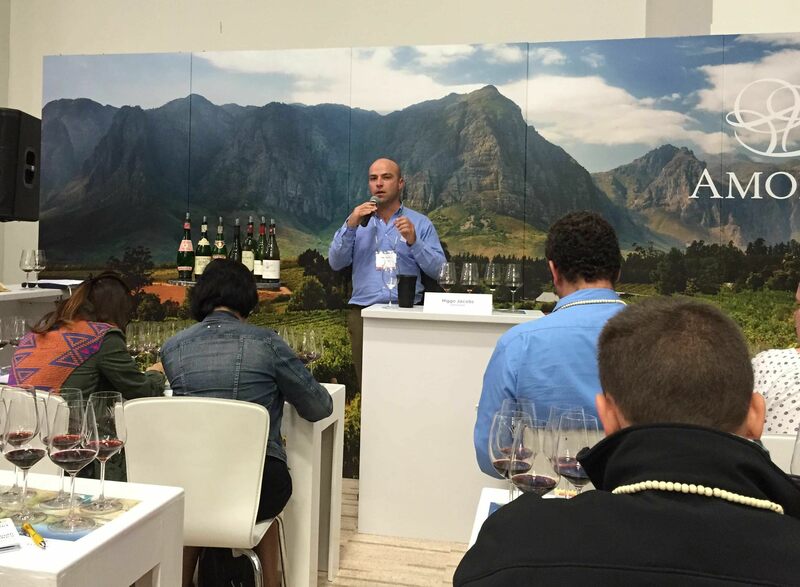 During September representatives from the wine trade around the world arrived in Cape Town, South Africa for Cape Wine 2015. Held in the Cape Town International Convention Centre, the event is organised by Wines of South Africa (WOSA) every three years to showcase the latest developments and trends in the South African wine industry. Across three days delegates were able to select from a schedule of seminars, informal guided tastings in the Speakers Corner and personal visits to more than three hundred producer booths from around the country. The event was extremely well organised with seminars and tastings presented by key members of the industry. To open the conference, the seminar A new era for South African wine, was introduced by Wines of South Africa CEO, Siobhan Thompson. The need to balance tradition and innovation was identified as being central to the success of the industry both internationally and domestically. For this to be achieved the domestic industry needs to be united and this was a topic addressed by each speaker covering issues such as unity on pricing, on domestic policy for tourism and on creating an environment conducive to doing business. Michael Jordaan, from Montegray Venture Capitalist, advanced this by further identifying three key macro trends; marketing, exporting and sustainability, while Analjit Singh, Founder Chairman of Max India, called on the industry to “believe South Africa produces the highest quality wines and to not under price them”. The issues of pricing and the long-term financial sustainability of the industry were raised again the following day in the Listening to the landscape – the typicity of our terroir seminar. Highly respected viticulturist Rosa Kruger spoke of the need to “read and follow the shape of the land rather than dominate it”, with fellow viticulturist Stephan Joubert agreeing there is an urgent need to “create more value within the industry” to ensure long-term sustainability and prevent loss of old vines and land to more commercially profitable crops. The closing seminar of the conference continued the theme of sustainability, this time with a focus on the human side of wine production. 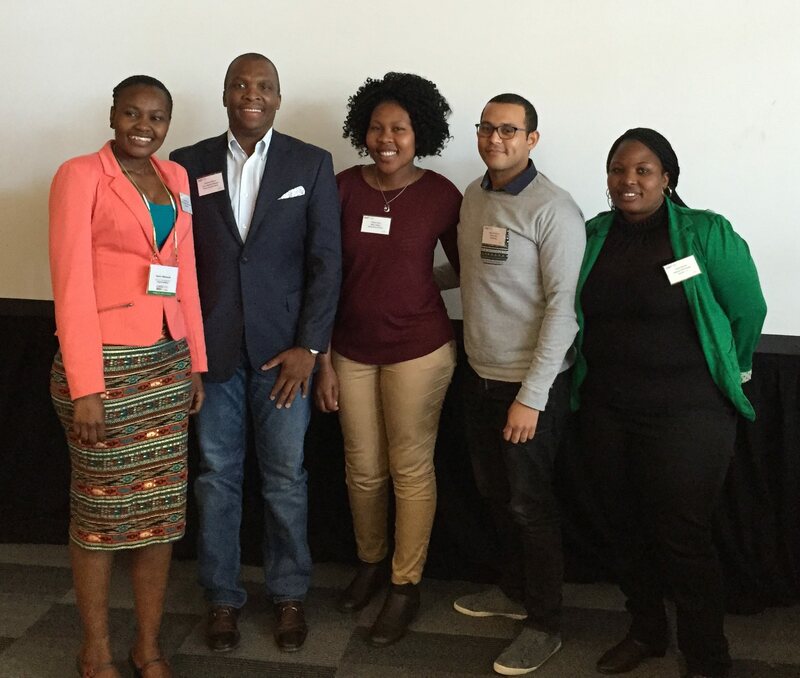 Matome Mbatha, Africa Market Manager of Wines of South Africa, chaired The Apprentice seminar with several of South Africa’s promising protégés who have come to the industry from disadvantaged backgrounds. These are, as he describes them, “young people that are driven and this is the way forward in the industry”. Several mentoring programmes offer financial and educational support for those wishing to enter the industry from disadvantaged backgrounds. The ultimate goal of such programmes is the transformation of the industry by increasing the role of black employees, not only at entry-level but throughout the industry including senior management and ownership. In the words of Mr Mbatha, “the industry is transforming, but there is more work to be done”. If the dedication and perseverance of those on the panel is anything to judge by, the future is bright. The Speakers Corner series of guided tastings took a closer look at a variety of different topics. Subjects included the impact of wind on the character and concentration of South African Wines, the role of the vineyard worker in producing quality wines, and in-depth tastings of several grape varieties and styles such as Pinotage, Chenin Blanc, Chardonnay, Pinot Noir and Cap Classique to name a few. The majority of wines tasted in the seminars and guided tastings, at different producer booths and at events on either side of the conference showed a general style of good ripeness of fruit within a balanced structure of refreshing acidity and textured tannins. Alcohol levels were restrained with some excellent quality wines produced between 11 – 13% abv. as producers showed more confidence with earlier picking dates and less extracted wines. The conference successfully showcased a wide variety of styles and firmly placed South Africa within the international community of quality wine producing nations. Congratulations to Wines of South Africa and all those involved in producing an expertly executed, highly informative and enjoyable event, establishing Cape Wine as an indispensable event on the international wine calendar.